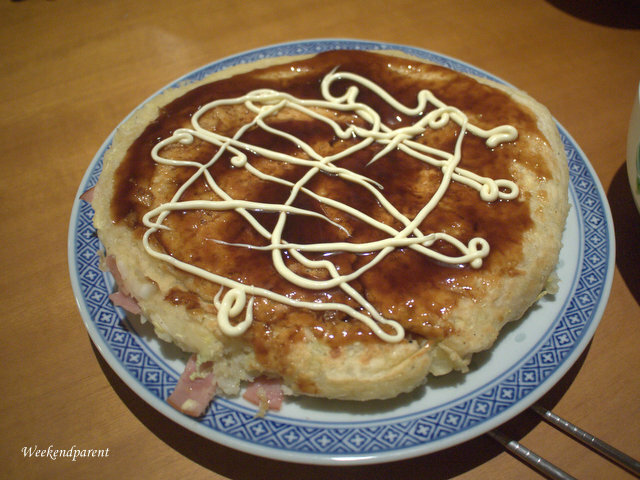 Okonomiyaki, a cabbage-based savoury pancake, is one of the most popular restaurant foods in Japan. 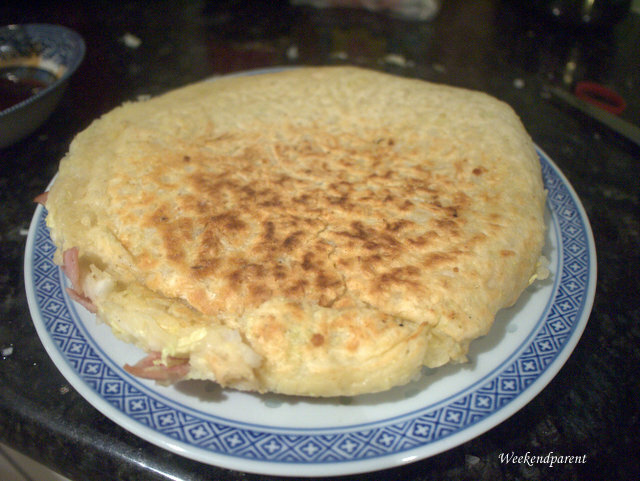 There are many regional variations, using ingredients such as meat and seafood. But my neighbour Sayoko, who survived for three years as an international student in Australia on a food budget of $10, has taught us that you can cook a delicious version for next to nothing. She made this dish as part of a potluck dinner in support of YWCA Canberra’s winter food hub appeal. (Social networkers are encouraged to take pictures and include the #Fiver4Food hashtag.) And due to popular request, I now share her secret recipe. Most Japanese versions of okonomiyaki expensive to make in Australia because of two things. Firstly they use a type of high-end meat that is expensive in Japan (fatty pork strips) and the salty-sweet Japanese-imported otofuro sauce. Otofuro sauce, a salty-sweet thick topping, is expensive to purchase in Australia. So Sayoko uses a recipe popular among Japanese communities in New Zealand and Australia that uses cheap and commonly found ingredients. Having tasted the original sauce previously, I honestly could not tell the difference until after she revealed the swap. And I was shocked at how simple it was to prepare. 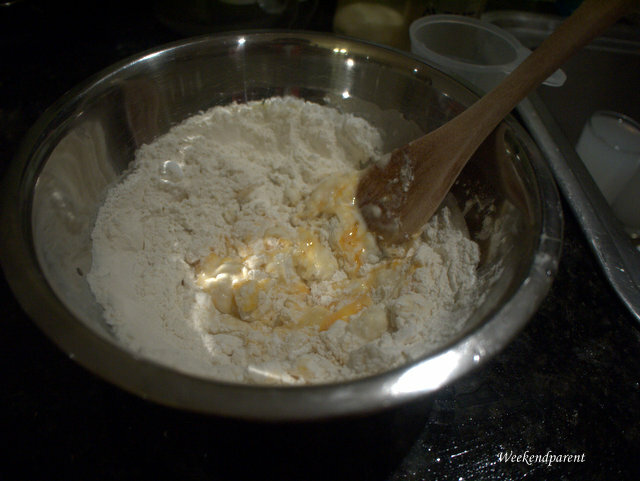 Put the self-raising flour and stock powder into a bowl. 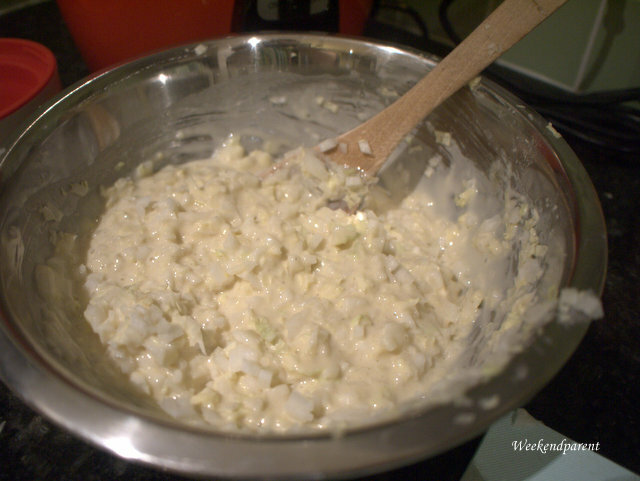 Make a well, and then add the egg and (stirring to combine) gradually add the water. 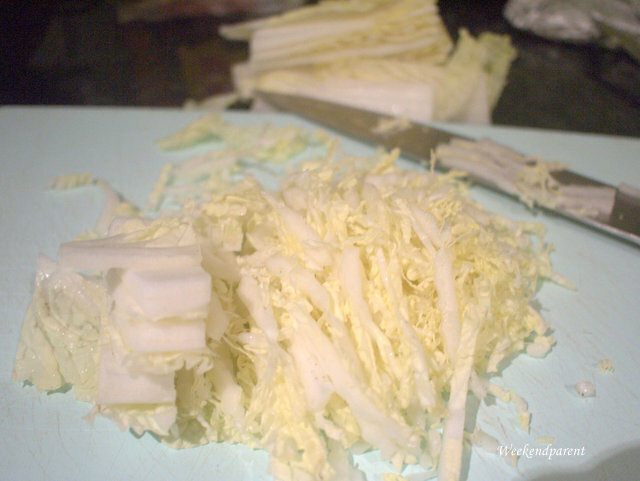 Add in the finely shredded cabbage, stirring to mix thoroughly. 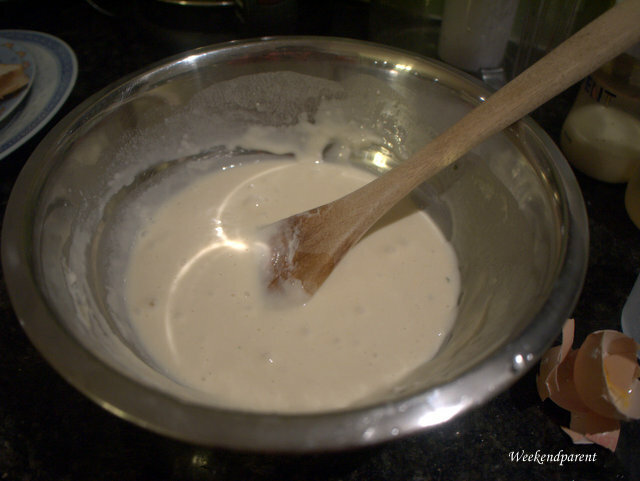 Allow the batter to rest for around 30 minutes until it is ready to use. 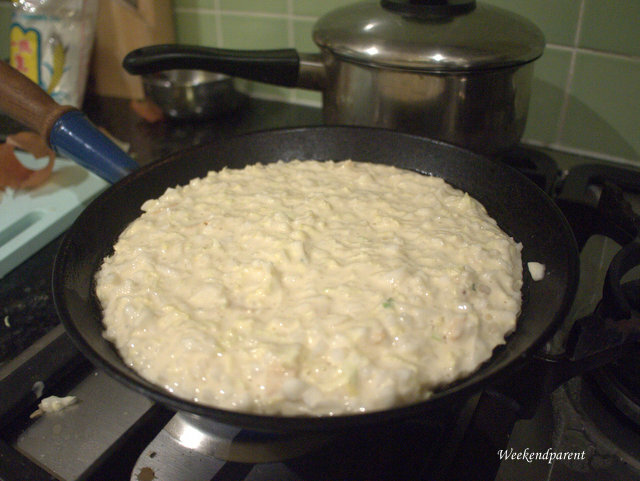 Using a small frypan (an omelette pan works well if you have one), heat the pan and add the oil. Once sufficiently hot, add the batter and cook for five minutes or so until the pancake is cooked on the bottom and bubbles are forming on top. 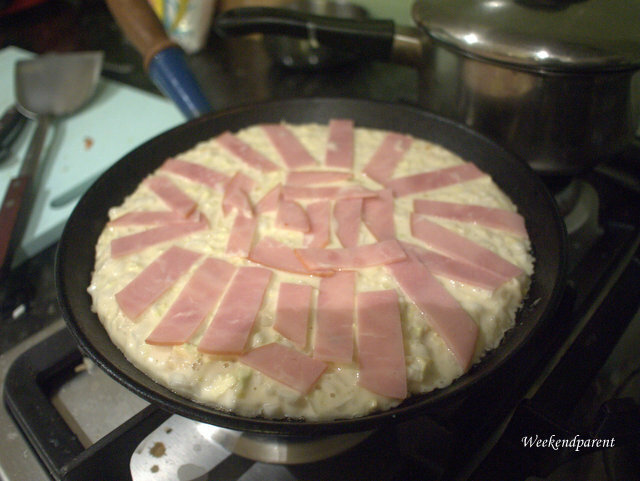 After about a minute or so, gently layer slices of ham on the top of the pancake. Slide the pancake onto a plate, and then flip it back into the frypan to cook on the other side (my attempt at flipping was not too expert, but it still turned out okay). 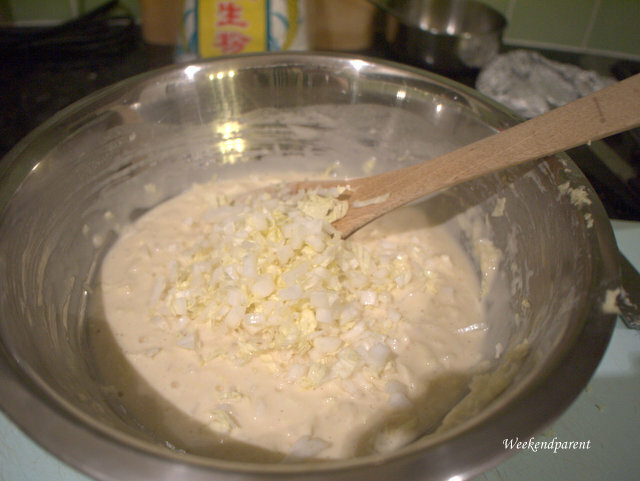 When fully cooked remove to a plate, and while still hot swirl on the otafuku sauce and decorate with mayonnaise and/or spring onions (if using). Cut into wedges and serve hot. Serves four. Thanks. This is an economical version. Many of the Japanese restaurant versions are quite elaborate, topped with bonito shavings and containing seafood and containing slices of fatty pork (similar to bacon, sort of). They even have special okonomiyaki pans. But with fresh cabbage and other fresh ingredients, anything is possible.